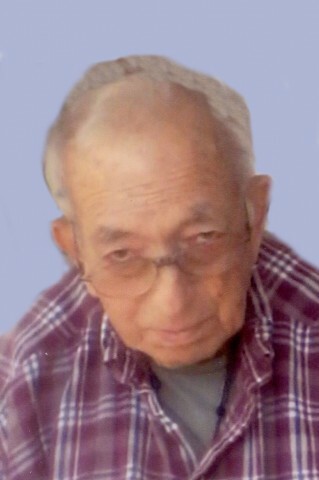 Theron Harold “Tinker” Durkee, age 84 years, died early Sunday morning, May 7, 2017, at his First Street residence with loving family at his side. Born in Websterville, Vt on, July 4, 1932, he graduated from Spaulding High School and was later married to Mary Frances Williams who predeceased him. Theron faithfully served his country in the United States Navy and was honorably discharged as a 2nd Class Petty Officer. He was a member of the American Legion, Green Mountain Post #1 in St. Albans. He was a longtime employee of the former Union Carbide Corporation and will be remembered for his love of gardening. He leaves three sons, Kevin of California, Keith of Burlington and Kenneth of Utah; step-children, Nancy Burns and Paul Tremblay of Swanton, Lawrence Sanborn and Pamela of Swanton, David Sanborn of Berkshire, John Sanborn and Christa of Swanton, Phyllis Sanborn of Swanton, Gerald Sanborn of Swanton and Michelle Sanborn also of Swanton; a brother, William and his wife Pat of Colchester and a sister, Maxine of Worcester, Mass as well as many nieces and nephews. A Funeral Service will be held Monday, May 15, 2017, at 11 a.m. from The Kidder Memorial Home, 89 Grand Ave., Swanton. The Reverend Kerry T. Cameron will officiate. Interment with full military honors will follow at the Durkee family lot in Riverside Cemetery. Friends may call at the funeral home on Monday from 9 a.m. to the hour of the funeral. Gifts in Theron’s memory may be made to Missisquoi Valley Rescue, P.O. Box 22, Swanton 05488.